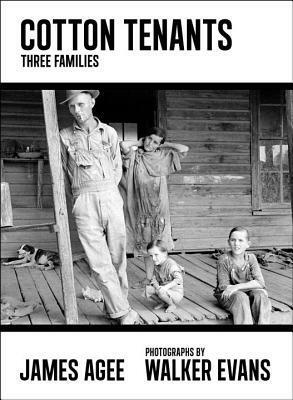 In the summer of 1936 James Agee, then a staff writer for Fortune magazine, was commissioned to write an article on sharecroppers in Alabama. He and Walker Evans, a staff photographer, spent two months observing three families, chronicling every aspect of their lives. For some reason, the article was never published and was forgotten. In 2005, when Agee’s manuscript collection was transferred to the University of Tennessee the article was discovered and is now published in book form. This is a time capsule documenting the lives of these tenant farmers trapped on the land in a system that makes it impossible to pay back debt for rent, manure, seed, and money to feed and clothe the family. And it also unintentionally documents the way people thought in the 1930’s, without the political correctness seen today, observing the subjects as if they were a foreign species. But it was the beautiful prose that caught my attention and held it. Agee was at heart a poet, and this shines through in every sentence. I found it a bit odd to enjoy reading those lyrical words describing such deprivation. The photographs are stark and moving, a perfect accompaniment for this interesting book. This entry was posted in adult, nonfiction and tagged US - 1930s. Bookmark the permalink.